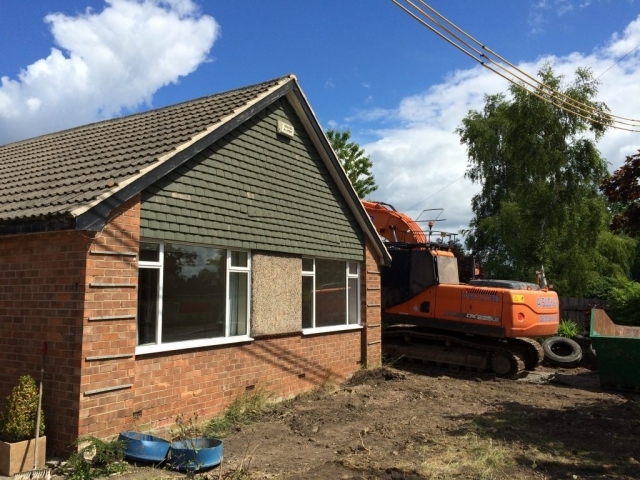 Project Description: demolition of existing home and construction of a Rhodipor Ecobuild ICF replacement. 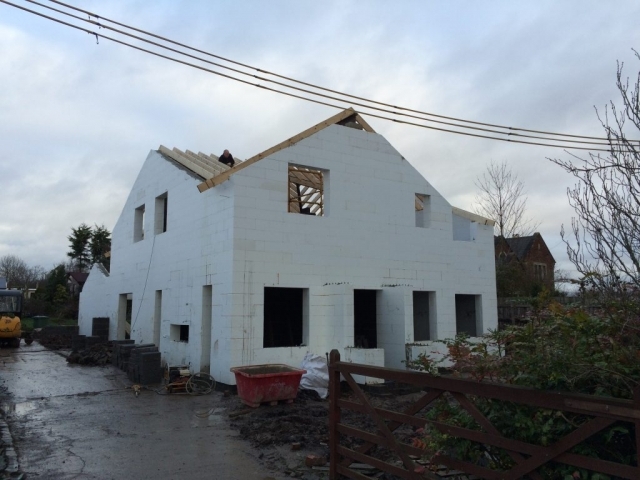 ICF delivery route: included preparation of building control drawings and erection of the ICF shell. Foundations: new strip and adjoining existing raft. Walls: 300mm thick with brick cladding over. 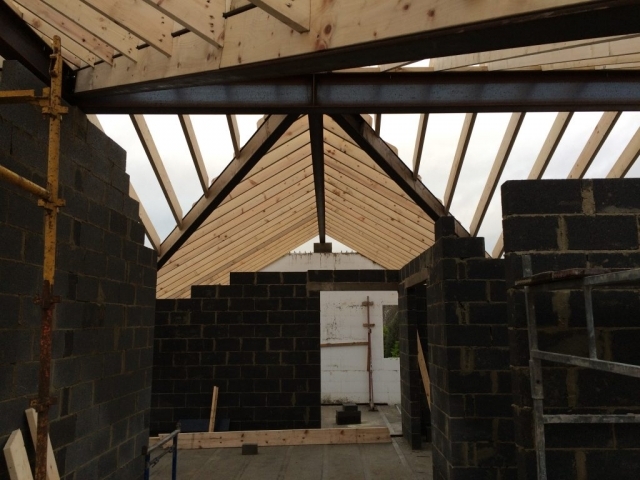 Roof: formed in steel for the valleys and ridge beams, and individual timbers between over. 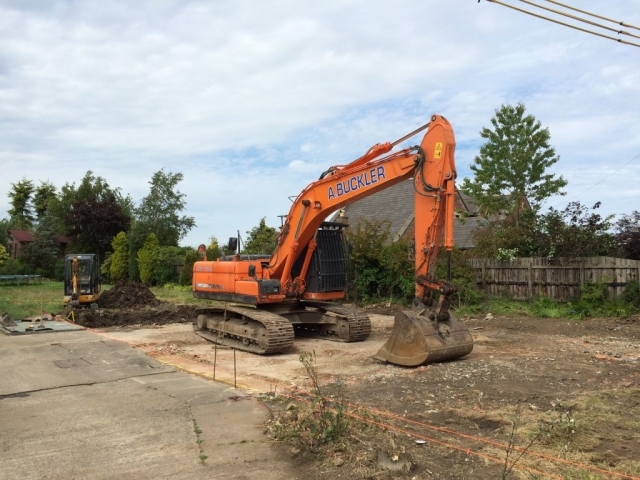 Undertaken in Stockton on Tees, the works include the demolition of an existing house, and construction of a Rhodipor Ecobuild ICF re-placement home, with an increased size of the building footprint. The existing house, while could have been refurbished required extensive works and extension to achieve the same quality as the finished home. If considering such an approach, we recommend reviewing the VAT implications on the HMRC website. New build homes are subject to zero rates of VAT, but please consult HMRC for further concise details. 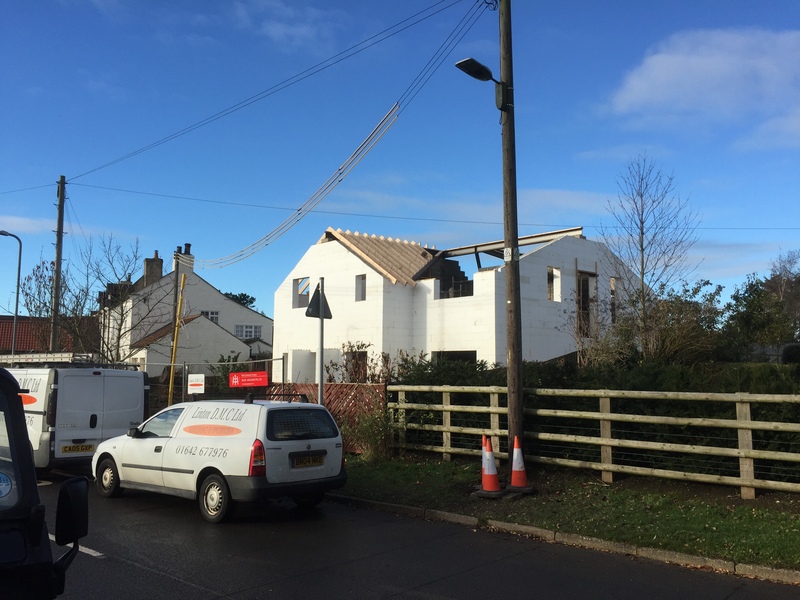 To achieve planning permission the client had worked with an existing architect. Upon approval, Linton DMC was employed in finalising the design and producing documentation for building control submission and construction. 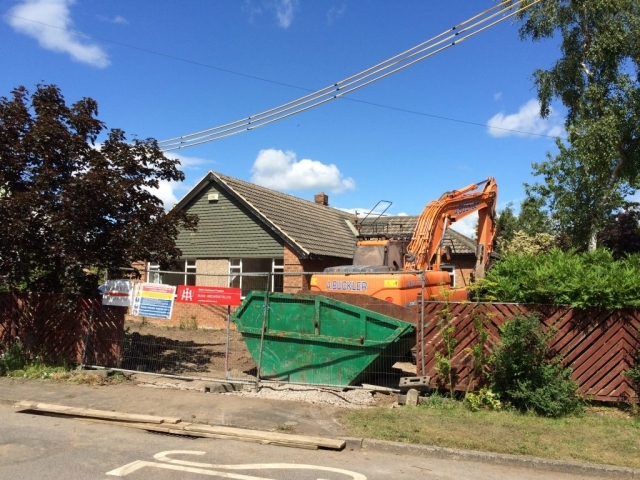 Working from this we provided 'shell construction' services and external finishes.The works commenced at the demolition of the existing building down to a flat surface to prepare the strip foundations and jointing into an existing raft foundation. 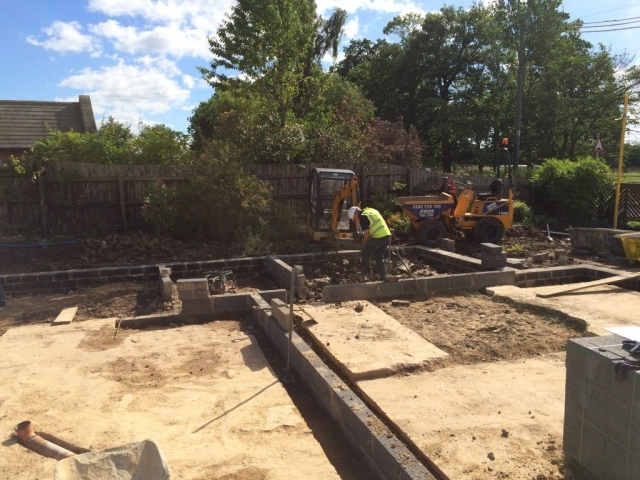 From foundation level to ground, it was elected to use trenching blocks laid under the line of the ICF at 300mm wide. ICF is an excellent insulator so to use underground when not a basement situation there is no cost benefit. To maintain the appearance of the street scene the walls were covered with a brick slip cladding, benefitting the property by reducing the U-value further without increasing the depth of the ICF walls. To construct the roof steel sections were installed to the valleys and ridge locations are creating a skeletal structure to affix individual timbers over, known as a cut roof. 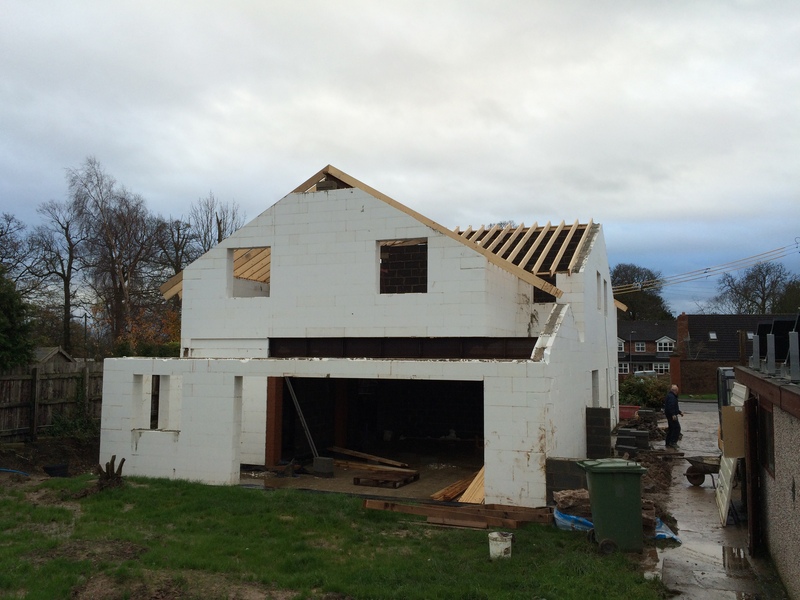 Rhodipor Ecobuild ICF can accommodate any roof type. 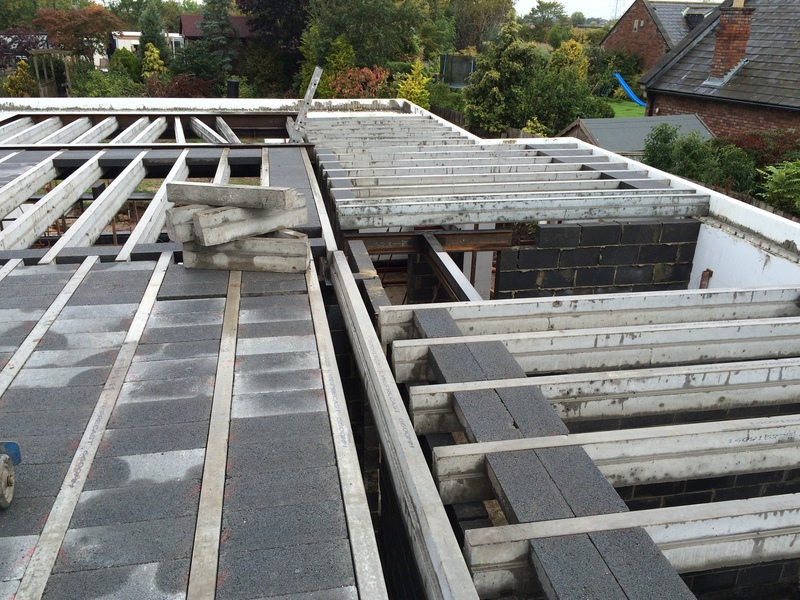 The use of a cut roof was chosen as rooms were to be built within the roof space. This allowed the maximum use of floor area but architecturally provides vaulted ceilings enhancing feature to the rooms. 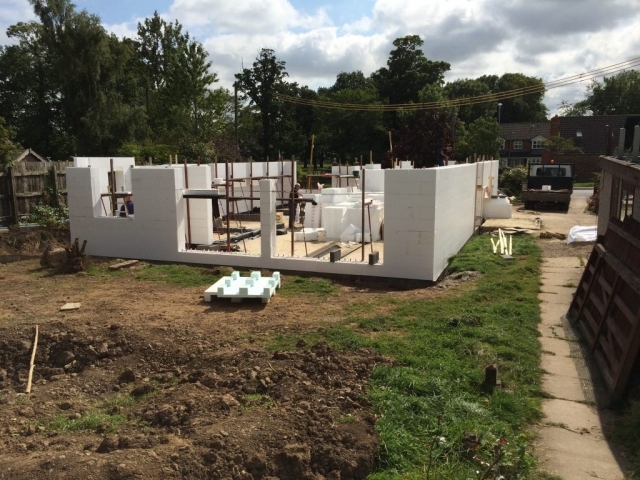 The external finish of the building is a form of cladding adhered to the ICF using a specialist adhesive. The brickwork and stonework are then merely pointed up as a traditional brick. 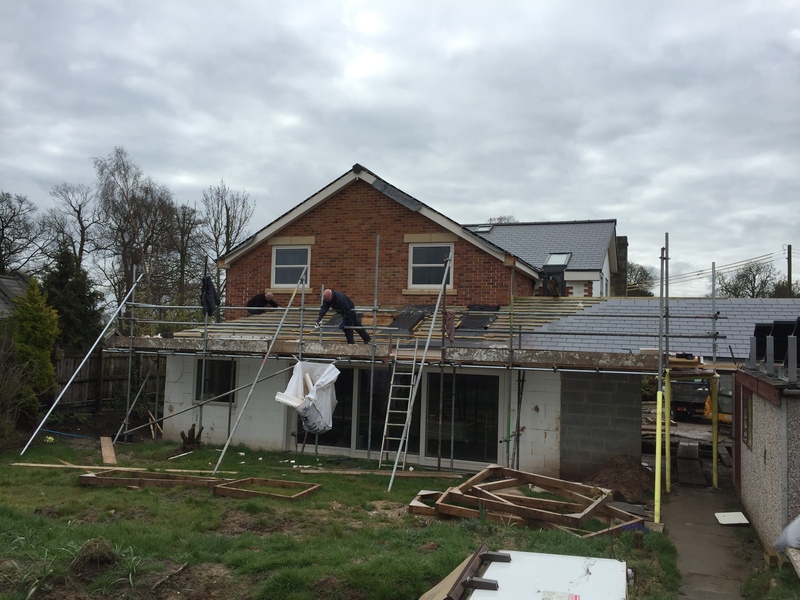 Given the quality of the finished building, you would not know the difference between a cladding system and that of a traditional brick building only the heating bills are significantly cheaper. 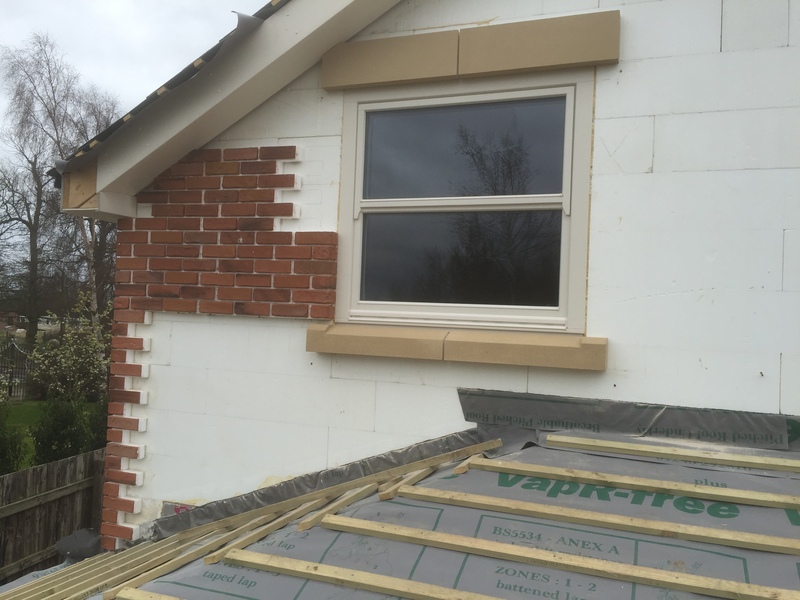 If you have concerns as to what finishes can be achieved with bricks and stone, we can offer colour matching to make your desired finish.